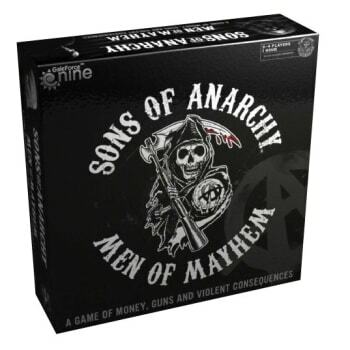 In Sons of Anarchy: Men of Mayhem players control rival Gangs, competing to be the most successful outlaw club. Each turn players choose what sites of interest to fight for and what territories to yield. Negotiate, threaten and ally with rival gangs when it serves your needs but be wary of the inevitable knife in the back. The Gang with the most cash at the end wins.